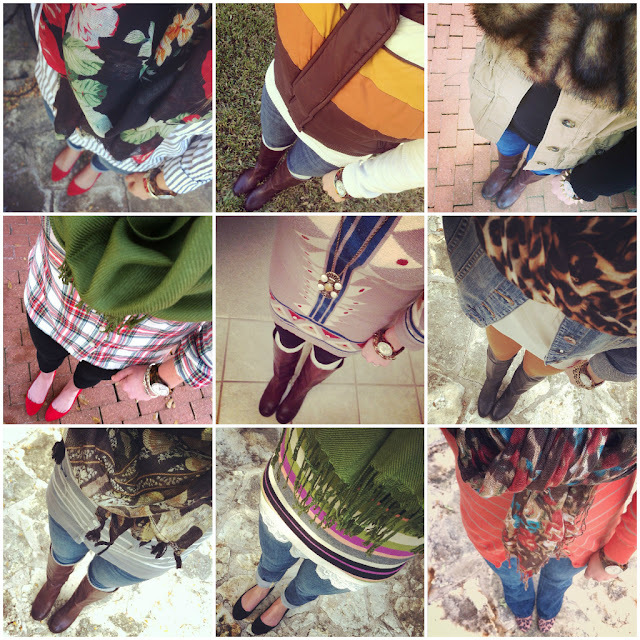 If you follow me on Instagram, you have already seen these #ootd selfies. 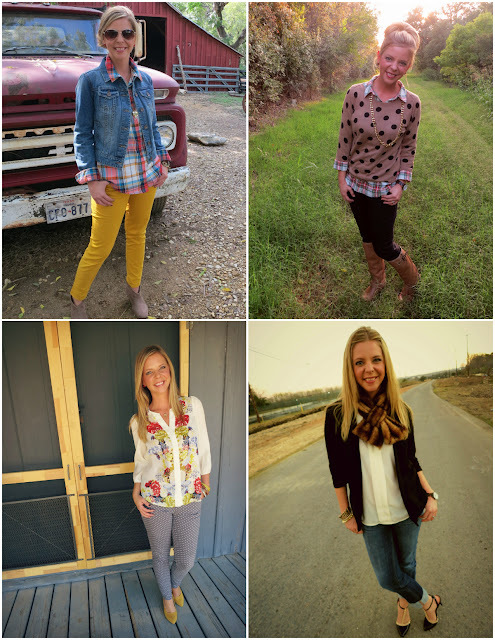 If you don't follow, well, here are six handfuls of outfits that made their way to Instagram, but never to the blog. This is a great way to file away outfits. 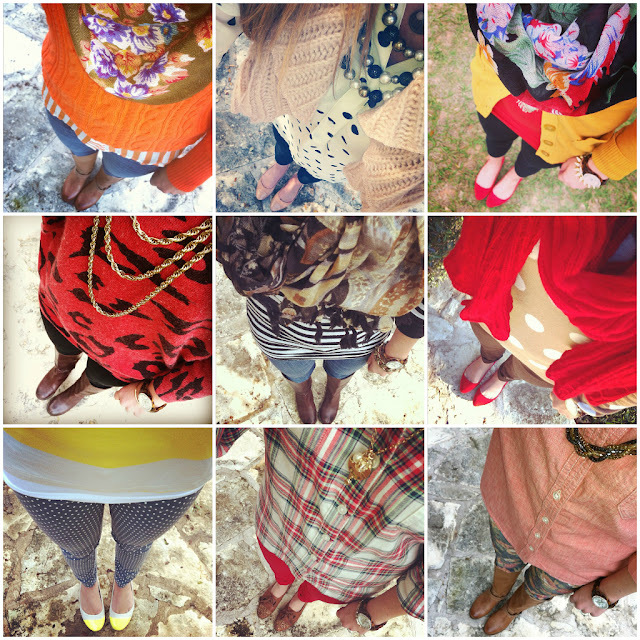 These little squares serve as a reminder of what styles and looks I wore. When I don't feel like standing in my closet deciding what to wear, I can pull up Instagram and put one of these little numbers on repeat. 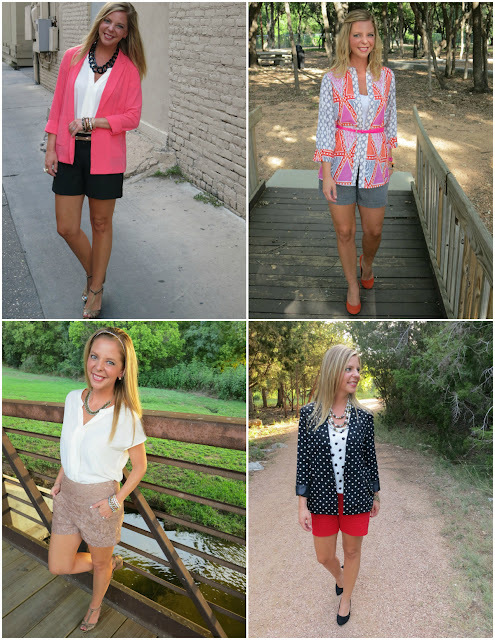 The majority of these pieces were purchased at Old Navy, Target or Forever 21. If you have a question about anything I am wearing, please feel free to comment and ask. There was no way I was going to document and source where everything came from. So there you have it, my very last post of 2012. 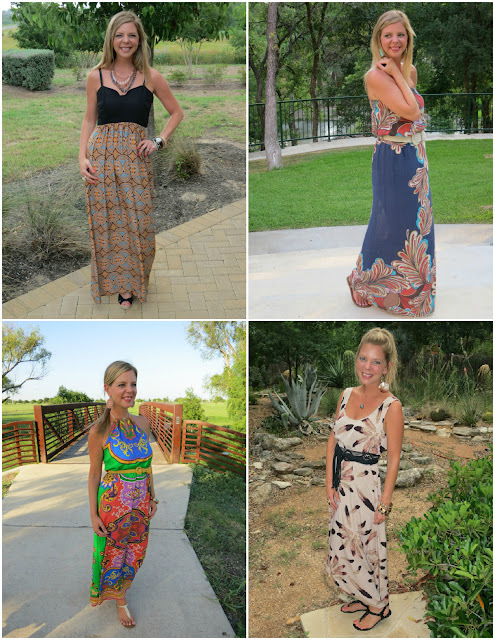 It's not going out with much of a bang, but hopefully it gave you one or two outfit ideas. I like to help my sisters out when I can. Everyone please be safe and have fun tonight! I will talk to you crazy kids next year! Linking up with Molly & Carly. 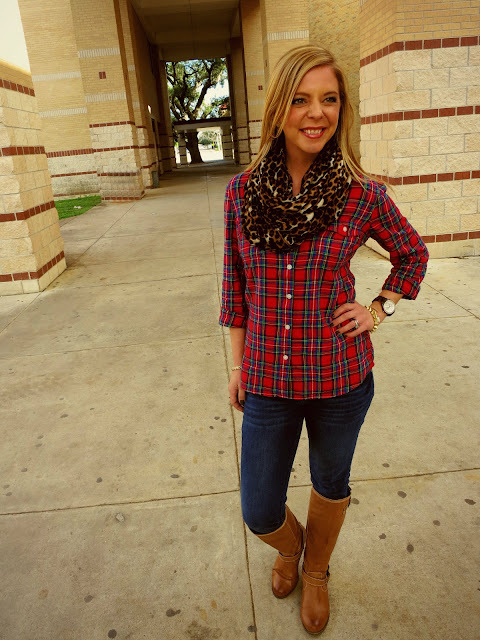 When I first started this blog of mine, I had no intentions of ever posting personal style photos of myself. I originally intended it to be a place to just talk about fashion in general; things I liked, where I shopped, trends and a dash of beauty tips. Wow, did this little space change entirely. 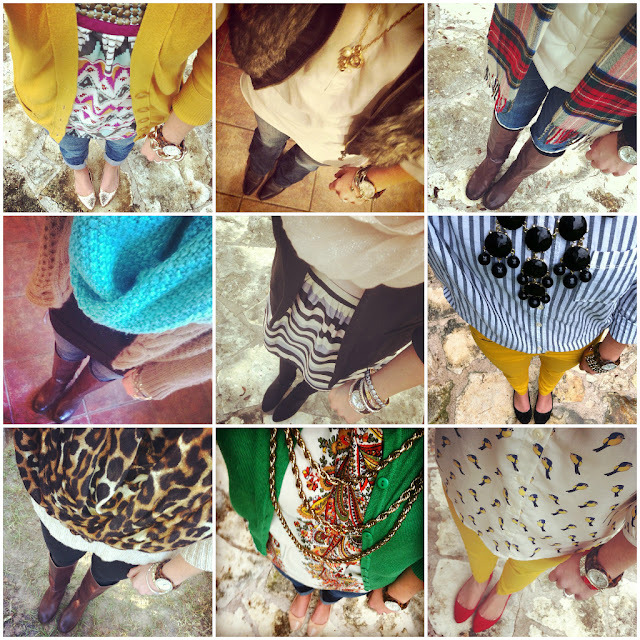 Now, I chat more about my own personal style and chunks of my random life. 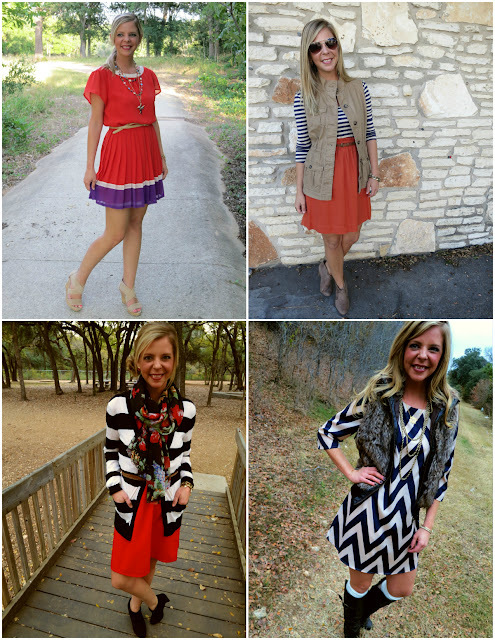 As we wrap up 2012, I thought I would take a trip down memory lane to look back at some of my favorite outfits that made an appearance over the last 12 months. 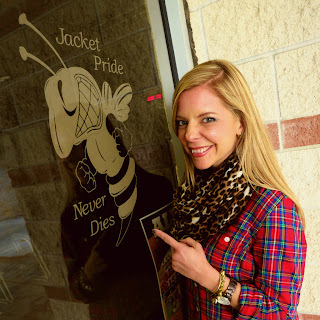 I consider this blog a team effort and I couldn't have done any of it without my hubs, Ross. We both grew over the year; me with my fashion sense and him with his photography skills. Believe me there was plenty of bickering that took place during these photo shoots, but we had a pretty darn good time doing it together. Can't wait to see what we do in 2013. 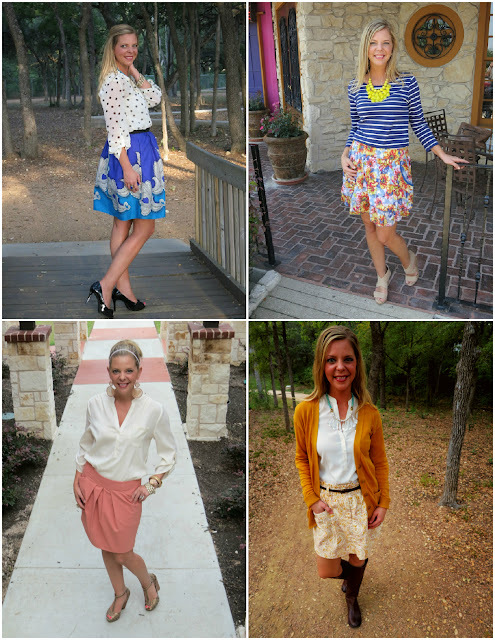 I truly hope that this blog has inspired your style in some shape or form. I know there are hundreds of you out there that influence me everyday. Thank you for all your support, sweet words, loyalty, encouragement and most of all friendship this past year. I am super eager to see where 2013 takes us all. And remember, you don't have to spend a lot to look like you did. Well, we finally finished up Christmas Extravaganza 2012. 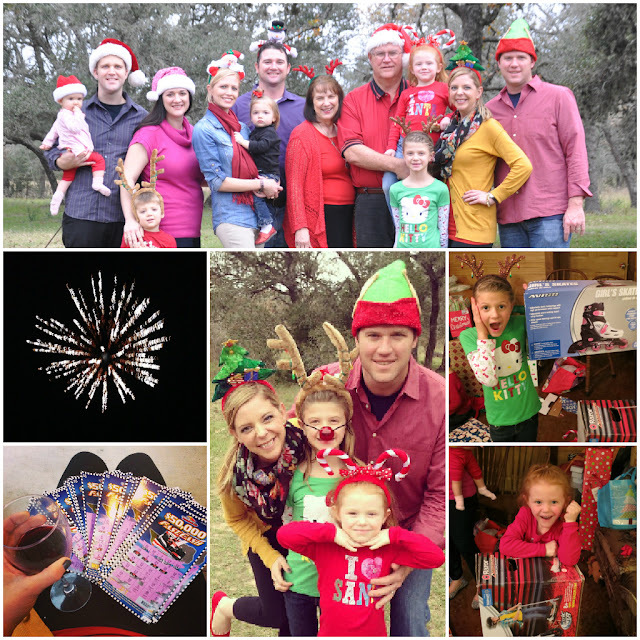 I was planning to title this post "Christmas Round Up #2" as a follow up to my post from Monday, but I changed my mind. Instead I went with the one above because that's exactly what I am, blessed. Blessed to have been present for an uplifting and powerful Christmas Eve candlelight service and to have found a church home with a pastor that speaks to my heart, soul and mind every Sunday. 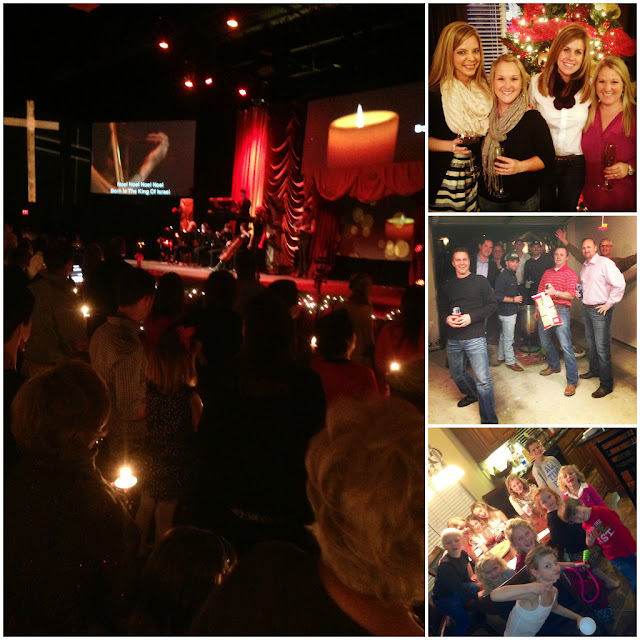 If you are in the Austin area and looking for a church, please give Celebration a visit. Blessed to have a group of friends that I consider an extension of my family. Blessed that my girls have a group of friends that they consider brothers and sisters. Blessed that we were able to celebrate our Lord and Savior Jesus Christ's birthday with good health and solid happiness. Blessed that our family company provides for us and enables Ross and I to give our children gifts "from Santa" Christmas morning. 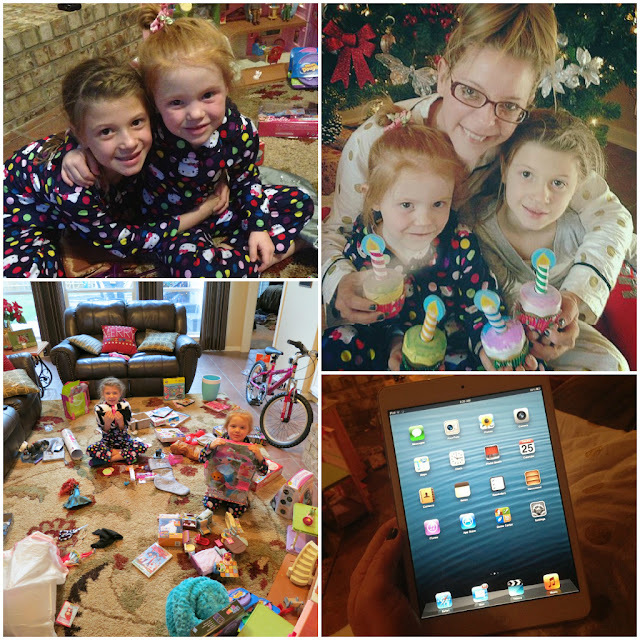 Blessed to have two fun loving, crazy beautiful, healthy, smart and sassy little girls. Blessed to have a thoughtful, giving, selfless and handsome husband that surprises me every single day; even on Christmas morning with an iPad. Blessed to have two parents that have wholeheartedly and willingly sacrificed their lives, even today, for our family. Blessed to have the home I grew up in to come back to for every holiday, special event or for a quick visit. Blessed that nothing is fake about our family. The love, silliness and sincerity is real. Blessed that I am a winner! A winner in race car driving competitions with my husband. A winner in a friendly family game of Scrabble. A winner at another friendly family game....poker...dealer calls it. Nice red Solo cup of wine, right. Hey, I never said I was a classy gal. Blessed to have made some of the best blog friends in the world. Ones that surprise you with Christmas gifts and sweet, melt your heart notes. Thank you Kristin and Ashlyn. I love you girls. And to the ones I got Christmas cards from, you made my day. You guys, I never would have thought blogging would bring so many new friends into my life. 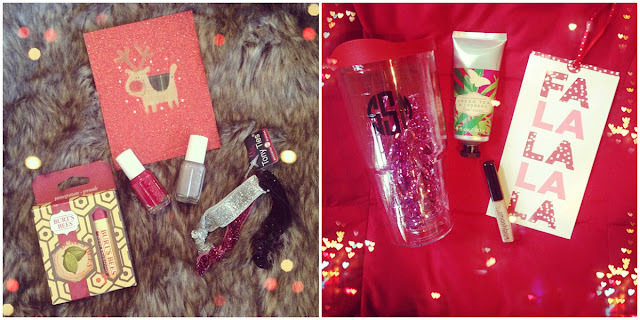 Blessed to have been part of the Secret Santa group with some of my favorite blog buds. Eight of us ladies drew names and I was so lucky that Jes drew my name. 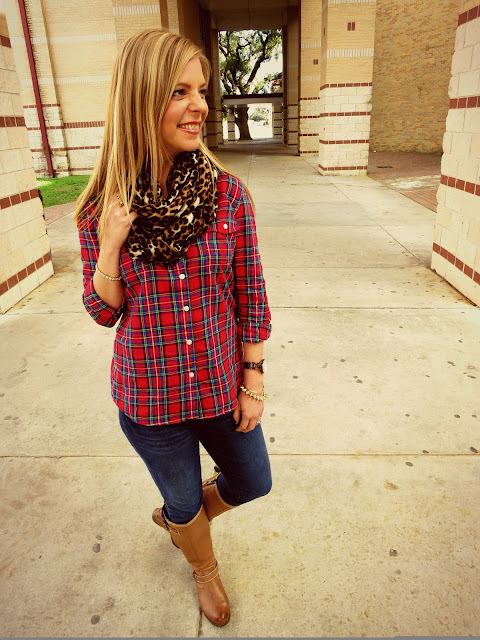 She and I met when I first started blogging. Her little bun head self is one of the funniest and most sincere girls I have met through this crazy world. And, yes, she calls me Body Odor Shanna. It's our little secret as to why, but I PROMISE, I do NOT, I repeat DO NOT have B.O. Thank you, Jes. I love you to pieces!!! What's crazy about this post, is that sometimes all it takes are a few photos to remind a person how blessed they really are. I know we all have our struggles, heartaches, hardships, but if you just take a minute to look through your pictures on your Facebook page, Instagram profile or even your phone, I bet you will discover you are pretty darn blessed too. Merry Christmas Eve! We have been in full traveling mode since Thursday. So far we have been from Austin to Dallas to Houston to Columbus and back to Round Rock. And we are still not finished. It's been a whirlwind with cranky pants car rides, a Yukon trashed with Gardettos, Cheese Puffs and Cheez-Its, Taylor Swift RED on repeat and a mom with nerves shot to the moon. Tis the season. Fa-la-la-la-la! 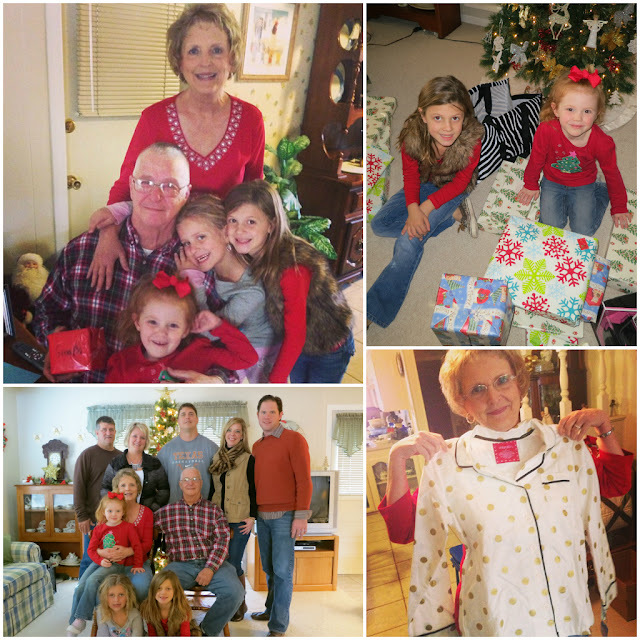 So today, I present to you the first round of our Christmas adventures. Stay tuned for round two. 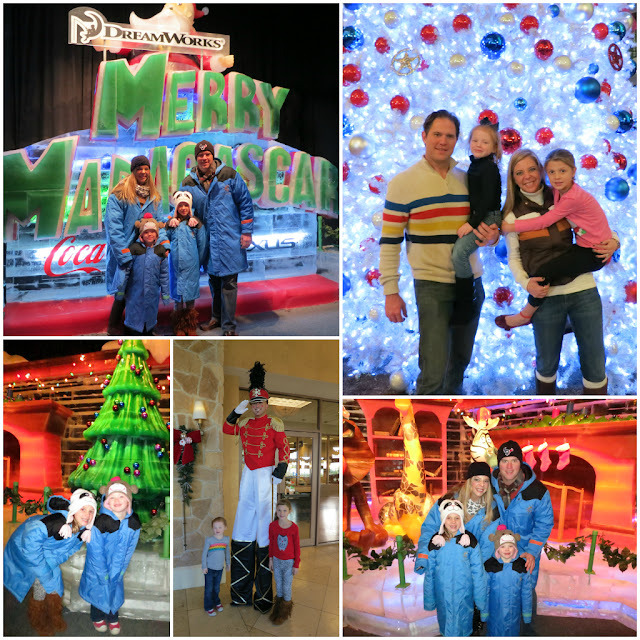 We took the girls on a surprise trip to the Gaylord Texan in Grapevine for Merry Madagascar on Ice. If you have kids and live in Texas, you have to go. We got all bundled up in our borrowed parkas and headed into a 9 degrees freezer full of sculpted and painted ice characters from Madagascar. We couldn't feel our feet, hands or faces by the time we got out, but it was worth it. They do a different theme every year and we definitely plan to make the trip again and hopefully started a new tradition. The hotel decor was glorious. I think I was more of the kid out of all four of us. It was a true wonderland at night. 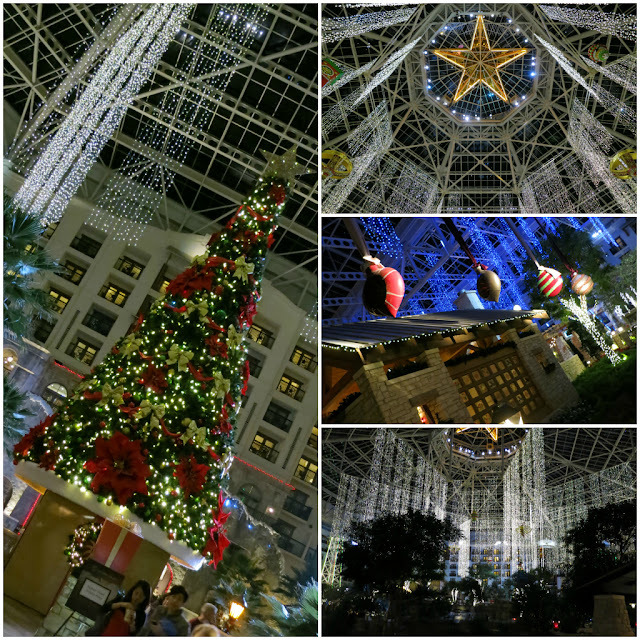 There were two atriums, a riverwalk, thousands of lights, a life size gingerbread house, waterfalls, trains and music. Should I continue? I could, I guess, but it just won't do this place justice. Like I said, if you have the chance, put this place on your list to visit during the holidays. 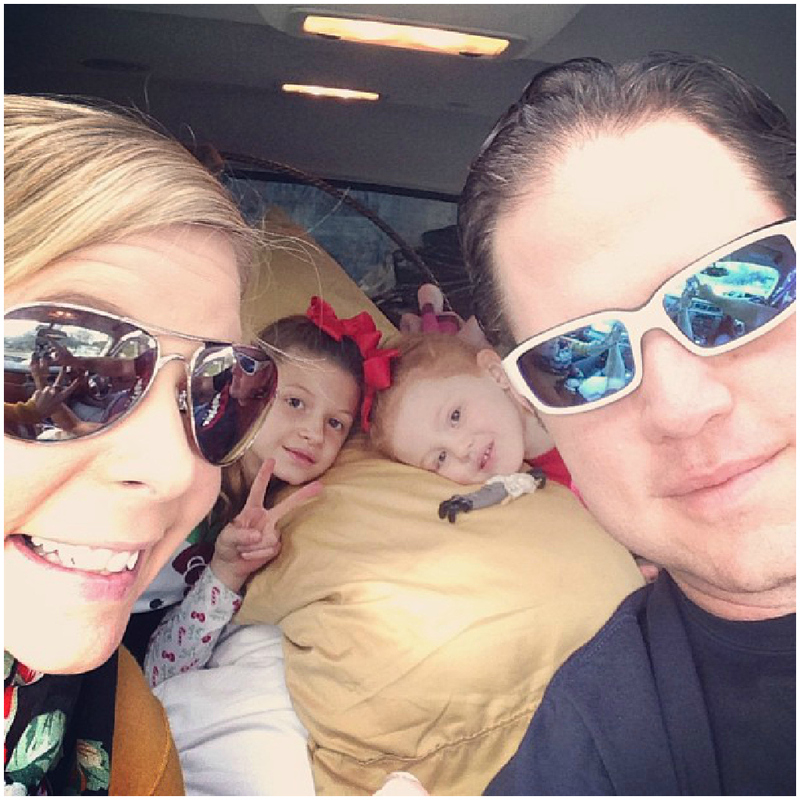 After our one night stay in Dallas, we got back in the car and headed to Houston to have Christmas with my dad's side of the family. This was the 78th year of this family reunion tradition. There were 139 in attendance this year. You guys, it's amazing. Extended family come from across the country for this all day event. 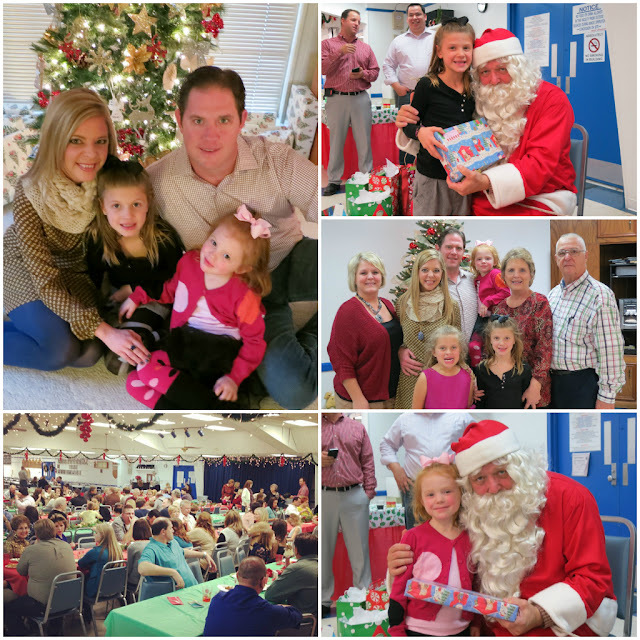 We rent out a hall, have chili during the day, come back in the evening for a happy hour and a crazy dinner spread, the kids belt out Christmas carols, Santa makes a visit and we just have a jolly good time. I can only hope it continues for generations to come. I just wish my brother and brother-in-law could have been there with us. And then there was Sunday, the camp house Christmas with Ross's family. A day of homemade shrimp bisque, red, red wine, an obscene amount gifts, lottery scratch offs totaling $285 in winnings, fireworks and we mustn't leave out the oh so festive head gear. Christmas just isn't Christmas without a few headbands and hats. Now, we are back on the road, yet again, finishing up the festivities in the car, at our candlelight church service, then to an annual dinner with friends, Christmas at our own home, back in the car to Houston and wrapping it all up at my mom and dad's. Safe travels. Jolly times. Happy present opening. Celebrate and rejoice His birth. Merry Christmas, friends. And straight from the lips of Tiny Tim, "God bless us, every one!" P.S. Random Wednesday WILL be live on Wednesday. Hope to see y'all link up your posts! 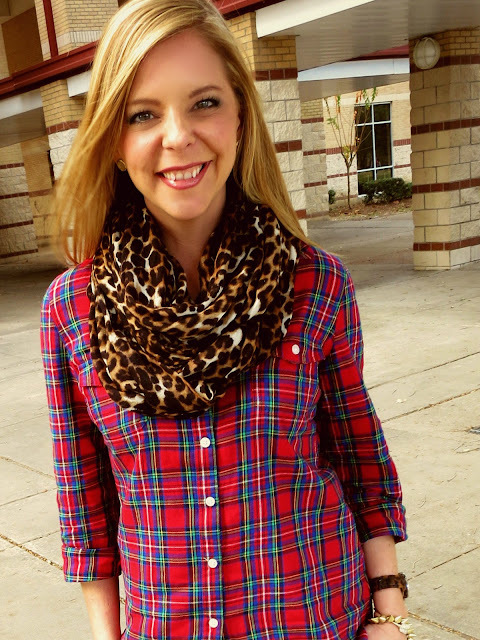 I am linking up with: Leeann and Sami for the Weekend Update.